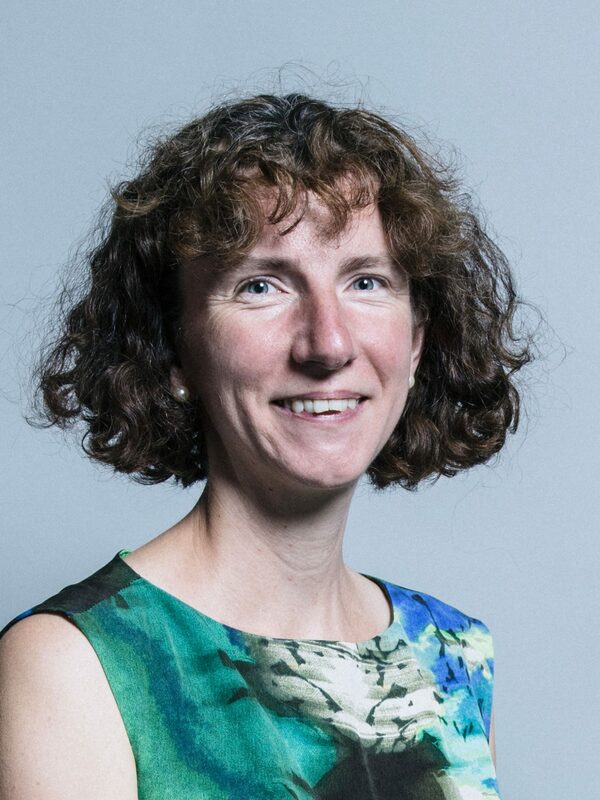 Anneliese Dodds is the Labour MP for Oxford East, which encompasses most of the Oxford colleges, as well as Oxford city centre and Oxford Brookes. She has served in this capacity for almost one year, being part of the group of MPs swept into Westminster during the 2017 snap General Election after her Labour predecessor, Andrew Smith, decided to stand down. Originally from Aberdeen in Scotland, Anneliese studied PPE at St Hilda’s College, Oxford. She later ran in the 2006 Oxford City Council elections, and the 2005 and 2010 General Elections before being elected as a Member of the European Parliament (MEP) in 2014. Within a month of becoming an MP in 2017, Anneliese was appointed as a Shadow Treasury Minister by Labour leader Jeremy Corbyn and has been working particularly on tackling tax avoidance and evasion and on Labour’s policy of remaining in a customs union with the EU. In this exclusive interview with The Oxford Student, we asked Anneliese about her views on everything from Brexit and Oxford’s struggle to combat homelessness, to Labour’s performance in the recent local elections. I met Anneliese in her offices in Cowley, a mere day after the local elections. Her offices were still littered with posters and leaflets and for Anneliese; it had no doubt been a long night. I began by asking her for her take on the election results, as we knew them at the time: “…here in Oxford I was pretty pleased with the result because we gained two seats”. However, she went on to say that “overall, it was quite a mixed bag…We had positive [results] in Oxford and Slough…In London we had some good results, but obviously not everywhere. In other parts of the country it was quite mixed outcomes”. When I asked if she had hoped that Labour would do better she said, “We can always do better, always, always, always”. Taking a step back, I asked Anneliese about how she had been getting on in her new role as a constituency MP. “It’s been wonderful to be honest because it’s such a privilege representing Oxford East and where I live.” She went on to say that the opportunity to really make a difference in people’s lives is very rewarding: “It is wonderful when you can get a good result for someone who might have been struggling with whatever it is”. I followed this up by asking about her experience of working in Westminster itself: “Its an interesting place,” she says, “It’s certainly got a culture all of its own, there’s no question about that, and I think it takes a lot of getting used to”. While she believes that many of the procedures of Parliament are odd and have a tendency to exclude both parliamentarians and members of the public who are not accustomed to them, she went on to say that she believes Parliament “is moving in the right direction”, that “Parliament’s becoming much more diverse and that’s a very positive thing”. Anneliese had to quickly find her feet in Westminster, however, entering a Parliament in a state of civil war over Brexit while also being promoted to the role of a Shadow Treasury Minister within just a month. When I asked how she managed to balance all these demands she said that she was lucky in that she had a “really passionate and committed” team of staff. She also said that her experience as a MEP was very helpful: “as a member of the European Parliament I’d been used to doing casework, for example…I knew that once I was elected as an MP I would have a lot of people contacting me needing help, so I was prepared for that”. I went on to ask Anneliese about her early political career. “I was never really a career politician,” she told me, “so I’d always worked alongside activism and I was involved in the Labour Club when I was a student”. Before her landslide victory in Oxford East in 2017, Anneliese unsuccessfully ran in three different elections. I asked her what she thought she learned from these setbacks. “I think what you learn is the importance of being very accountable and honest and having contact with people that you would like to represent”. She told me that she has carried this attitude into her role as a constituency MP: “we go out every Sunday morning to talk to people on the doorstep, sometimes one weekday as well…I think that that contact is really, really important because otherwise you can’t know what people’s views are on things and you’re not going to be able to represent them properly”. Moving onto policy, I asked how she thought the Brexit negotiations were progressing. “I think the management of the negotiations has been absolutely atrocious”. She told me that she thought it was wrong for the Government to rule out remaining in a customs union with the EU: “certainly in cities like Oxford it will be a major problem I think, if we shift outside a customs union with the rest of the EU, because you’ve got firms like BMW where different components go across borders five, six, seven times”. She said that the Government should also have guaranteed the rights of EU citizens living in the UK from the beginning: “if they’d said that from the start we would be in a much better place I think. I think we would’ve had a lot more good-will from the rest of the EU but also those EU citizens [living in the UK] wouldn’t be in the insecure situation that they are at the moment”. She expressed concern about the prospect of ‘No Deal’ which has been entertained by the Government, saying that such a “violent break with the rest of the EU…will be very, very damaging and it will not reflect, I don’t think, what people voted for”. The Government should, in her view, be pursuing a “sensible…pragmatic approach that actually brings people together” to overcome the polarisation that remains in the wake of the Brexit referendum. I asked how she thought Jeremy Corbyn was doing, by contrast. “I think he has shown that you can do politics differently and actually if you look…at what’s happened to social democratic parties across Europe, a lot of them have been struggling,” while the Labour Party seems to be doing somewhat better, she explained. She went on to say that under his leadership they have shown that “you can engage…young people in politics and in social democratic and socialist politics”. However, she qualified that “there’s a lot more we need to do and the worst thing to do at the moment is be complacent”. I concluded our interview by asking what advice she had for students considering a career in politics. “Probably not to consider a career in politics,” she said humorously. “I personally feel,” she went on, that it’s really important to get some experience of the world outside politics…because otherwise I think it’s very hard sometimes to empathise with people who are in a different position as yourself.” She further suggested undertaking volunteer work because, at the end of the day, politics is “about local activity, it’s about connections with individual people and working with them to improve their community”.